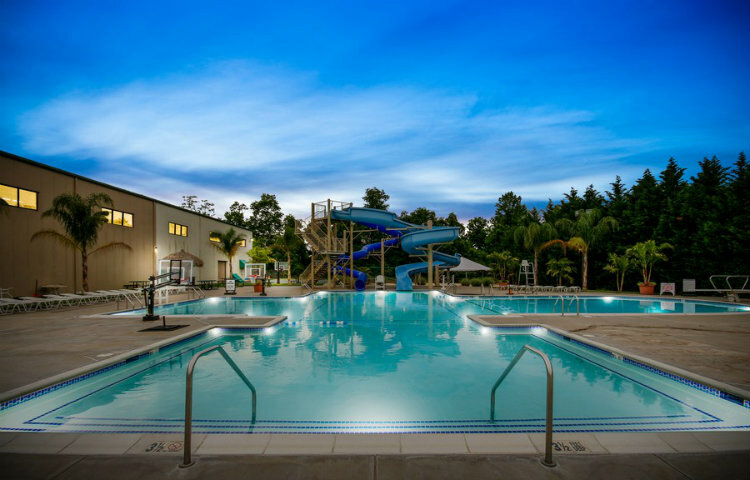 Arena Club Aquatics is our year-round competitive swim team that competes in the Maryland LSC of USA swimming. The Arena Club Aquatics Swim Team is one of three teams in the state to be nationally recognized with a “Club Excellence” designation from USA Swimming. The award recognized teams that display a commitment to performance excellence. ACA is dedicated to empowering our swimmers to achieve excellence in life through swimming. Our program is designed to provide the opportunity for young, diverse athletes to achieve their ultimate potential through proper training in a positive and healthy environment. We strive to instill an understanding and appreciation for high self-esteem, fun-filled opportunities, self discipline, goal-setting and achievement in young swimmers. Academic excellence is encouraged and achieved through the development of physical and mental conditioning and responsibility. It is our belief that the road to success is as important as success itself. The Arena Club Aquatics (ACA) Team is committed to directing and guiding athletes toward maximum development of their talents and abilities. At each level of the program, swimmers are encouraged to strive for personal excellence and work as hard as they can. This philosophy is consistent throughout our program, from novice athletes to our elite athletes, we encourage them to be the best they can be. The coaching staff has many years’ experience coaching in the Maryland area, as well as at programs across the East Coast. Coaches on staff have produced Maryland State qualifiers and champions, All-Maryland qualifiers, YMCA All-Americans, Sectional qualifiers, USA Scholastic All-Americans, USA Top-16 qualifiers, and a Junior National qualifier. The Arena Club Aquatics team is led by ASCA Level Five Swim Coach, Elizabeth (Betsy) Graham. Betsy’s Level Five ASCA certification means she has coached and developed Olympic Festival medalists and junior and senior national champions. This rare and prestigious credential is earned through education, experience, and achievement, and places Betsy at the top 2-5% of coaches in the United States. Graham’s past honors include high school All-American, USA Senior National qualifier, NCAA Nationals qualifier, and record-breaker at the University of Wyoming. Graham began her coaching career at Northern Michigan University while working towards her BS in recreation in 1989. She continued on to Ferris State as a head diving coach and an assistant swim coach. In 1991, Graham served as the head coach of the Aqua-Tex Swim Team (ATEX) in Houston, TX and enjoyed many highlights, including a swimming finalist at the 1996 Olympic trials. She also coached two Olympic Festival medalists, in addition to junior and senior national champions. Graham coached a 1994 and 1996 male Academic All-American and placed a swimmer on the USA National Team. In 1996, Graham became an assistant swim coach with the University of Arkansas, before being named head coach at Catawba College in 2001. In 2006, she launched the Catawba College Men’s Team. Catawba has produced four All-Americans and seven All-Academic team members under Graham, including two Academic All-Americans. In 2012, the women’s team finished fourth in the nation in academics as a team, while the men also earned CSCAA Academic Team Honors. Graham also coached US National Paralympian, Ashley Owens, who claimed four medals at the 2010 Paralympics. Under the direction of Graham in 2013, Sebastian Holmberg was named the Conference Male Swimmer of the Meet and All-American honors by finishing 5th at the NCAA Division II National Meet in the 100 fly. In 2014, both the Catawba men and women teams were seventh at the Bluegrass Mountain Conference Meet. In 2015, Catawba Men team were ranked 1st in the country for overall team GPA beating out Division I, II and III schools. In February 2016, Betsy was recognized by the American Swimming Coaches Association as a "Coach of Excellence" for her contributions to the sport of swimming. Placed 15th at this year’s 14 and under championships and 13th and the Maryland Senior Championships out of 14 teams. 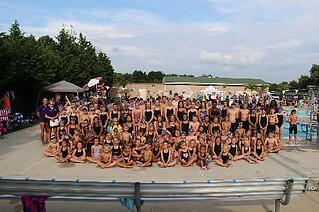 The Summer Starz is a Harford County Swim League. The team is open to all swimmers 5-18 years old who can swim a length of the pool backstroke and freestyle, (meaning without pausing to grab the wall or to tread water). The season runs from the end of May through July, with daily practices and nine meets.